Be sure to mark your calendars Junior and Senior Highs – the WSM Christmas Parties are just around the corner. This is an annual tradition and both parties are sure to be a great time! The Junior High Christmas Party will be on Friday, December 17th at Westheights Community Church. The fun will start at 6:30pm and wrap up at 8:30pm. 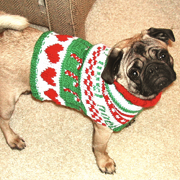 Join us for a ton of Christmas-themed games including our Ugly Christmas Sweater Contest! Be sure to bring a wrapped gift costing around five dollars for our gift exchange and a snack to share. The Senior High Christmas Party will be a semi-formal affair taking place on Saturday, December 18th. Come dressed in your Christmas best! Be sure to bring a wrapped gift costing around five dollars for our gift exchange. Check back here for more details!